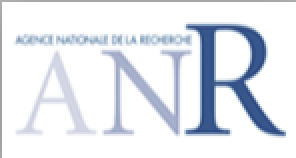 The ‘Agence nationale de la recherche’ has selected the first 7 common laboratories between research organisms and private companies as part of the « Labcom » program. The project FucoChem has been selected for its research on marine polysaccharides to be used as cardiovascular biotherapies. This project is coordinated by Cédric Chauvierre (Team 3 Inserm U1148). It involves the laboratory of polymer bioengineering (Université Paris-Nord and Inserm) and the ‘Algues & Mer’ company.